— It’s not like Democrats do this in every election! 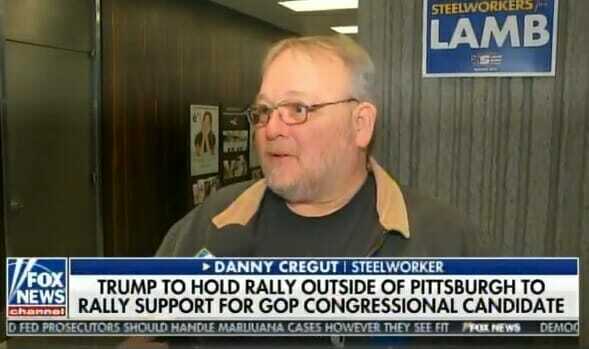 Pennsylvania “steelworker” Danny Cregut went on FOX News on Saturday to say he publicly supports Democrat Conor Lamb in the Congressional race next week. Lamb is the latest Democrat to run as if he’s conservative but liberal policies are opposed by everyone except California. Then if Lamb gets to Washington DC he’ll march lockstep with Nancy Pelosi. Danny Cregut is a top union hack. Of course, Danny Cregut does not mention this to the FOX News crew. 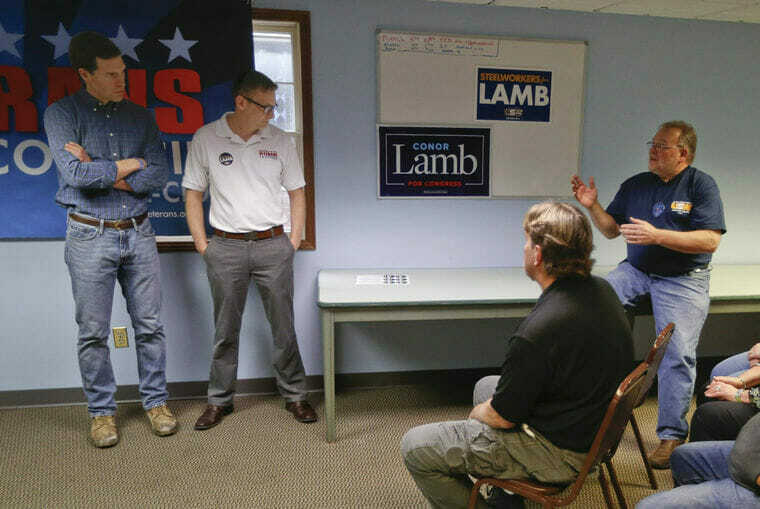 The post BUSTED: Random ‘Steelworker’ Making the Rounds for PA Democrat Lamb… IS A TOP UNION OFFICIAL (VIDEO) appeared first on The Gateway Pundit.